Tencel Vs. Cotton: Which is Better? Tencel is a breathable microfiber that is engineered from sustainable resources. Cotton is a traditional fiber that’s been around since forever. There have been a ton of challengers that’ve come for cotton’s comfort throne, but only recently has Tencel given cotton a worthy opponent. Tencel performs well in tests softness, breathability, and durability. While the history is always there for cotton, Tencel is the fabric of the future. Cotton has been around for a long time, since 6000 B.C. when prehistoric communities in India first figured out how to use it in rudimentary clothing. Then came the ancient Egyptians, then came the cotton gin, and the rest is history. That’s a long time for you to become familiar with cotton as a product (over 8000 years!). It also hasn’t had much in the way of challengers since its inception (sure silk, but polyester? Yikes.) Then with the 21st century came the advancement of microfiber technology. Previously unattainable using traditional means, microfibers meant that you could fit more fabric into a tighter weave, simultaneously increasing strength and breathability. Tencel is the newest in this tech development. And while you might not know much about Tencel, it could be the thing helping you live your life in new, more comfortable ways — from the clothing you wear to the bed you sleep in. We thought we’d break down the ways that cotton and Tencel compare and contrast to give you a helpful guide on the benefits of this strange new world. Is Tencel a Natural Fiber? Tencel is absolutely a natural fiber. It is made from wood pulp and other sustainably sourced sources. Not only that, it’s eco-friendly. Tencel’s creation is popular with many environmental groups because of its closed loop production process, which transforms wood pulp into cellulosic fibers with high resource efficiency and low ecological impact. It’s just as natural as cotton but made with a fraction of the resources. You know that favorite shirt you always wear because it looks good and it feels even better? That’s probably because it’s 100% cotton. For just about forever cotton has been the standard for clothing because it’s soft, breathable, and it looks good. Cotton allows your skin to breathe so that you don’t feel sweaty and clammy the way you might with some synthetic fibers or cheaper blends. Here’s the thing: Tencel does that and more. Yes, Tencel is made from wood — but on a nanotech level of production previously not attainable through traditional production. That means its fibers are incredibly small, which allow it to have an even softer sheen and more breathability than just about anything else out there. It may sound surprising, but it gives cotton a run for its money, so much so that even textile retailers are taking note. Your current favorite shirt may be made from cotton, but your next favorite shirt is probably going to be Tencel. As previously stated, the production of tencel uses less water and space than cotton, through their “closed loop production process.” What you may not realize is this means that 99% of the materials and chemicals used can be reused to minimize waste. That production technology may initially cost more than cotton, but it eventually evens out. Cotton requires more water and space, which tends to add up. That extra startup cost has labeled Tencel a “luxury fiber” in the textile community. So much so that it often goes for a higher price than Egyptian cotton — the most premium cotton sold on the market today. That label, of a luxury fiber, is one that retailers have embraced. “The reason I (always) say it has a luxury perception is that [companies] spend a lot of money marketing that brand,” says Edward Hertzman in a recent interview. Hertzman is the publisher of Sourcing Journal, a magazine that focuses on the retail apparel and textile industry. And while that price tag may put off some, Tencel’s better qualities are enough to win over even its most hardened critic. Is Tencel a Breathable Fabric? One of tencel’s biggest strengths is that it is more breathable due to its tiny fibers. That means that it is hydrophilic, allowing sweat to breathe and evaporate, rather than stick to the skin and cause odor and bacteria. That quality of breathability you love in your favorite cotton shirt? Yeah, tencel has that in spades. According to a recent Business Insider article profiling the new microfiber, “(it) shrinks less, wrinkles less, and breathes more.” It’s this perfect combination that has people rethinking how they see microfibers. It’s now routine when they perform as well as traditional fiber in comfort and breathability tests. Tencel perfectly fits our needs when designing the perfect mattress cover. We scoured the globe for the best materials to use when constructing a mattress, and this checked all the major boxes. It wicks heat, it’s super durable, it is environmentally sound, but most importantly it’s super comfortable. 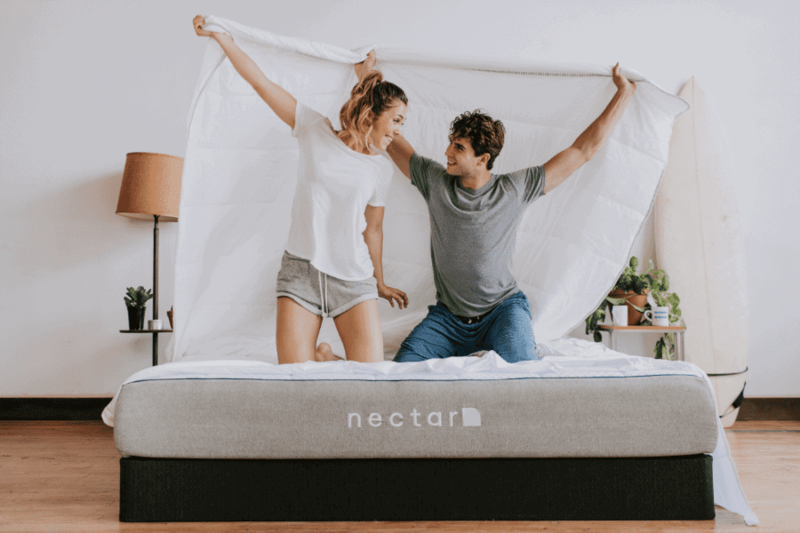 In this busy world, where it can be hard to get to sleep, it was important for us to figure out how to best maximize your sleep time on your mattress. For us, it was about finding the best and developing that into our own unique style. That’s why at Nectar, we decided to custom mill our own tencel cooling covers, for maximum breathability and coolness. Because when you’re comfortable and cool, sleep comes easy. Now you know the reason we prefer Tencel over cotton. 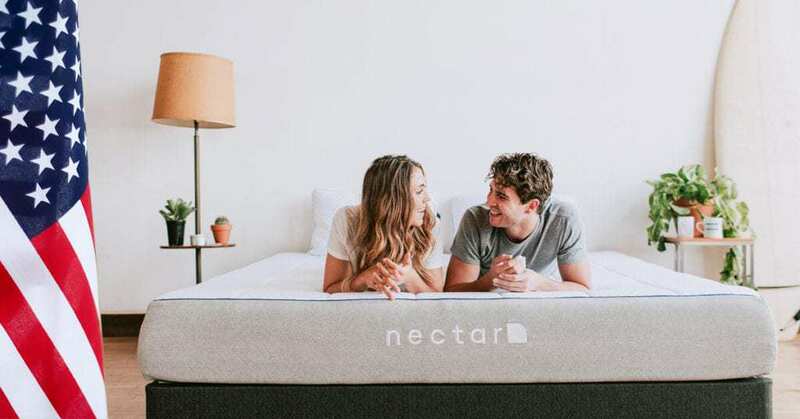 See which mattress size is right for you and save $125 off instantly on a Nectar Mattress.